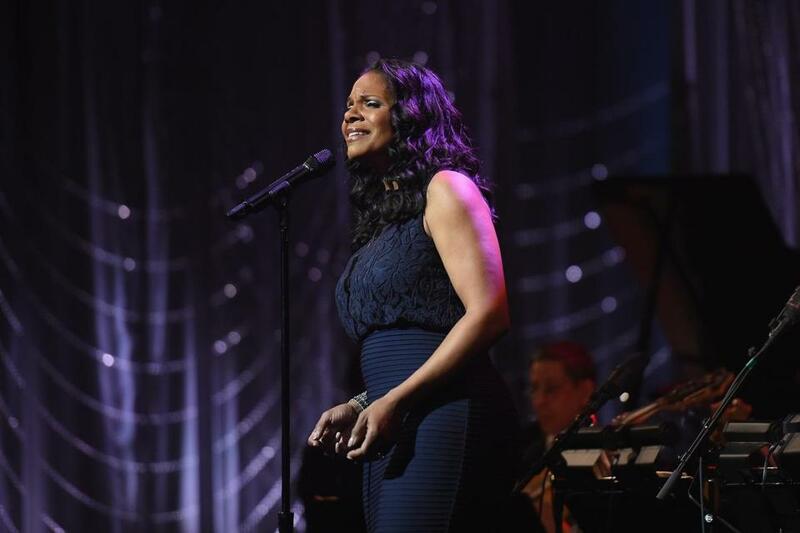 Audra McDonald at Lincoln Center in April of 2017. Berlin or no, this down-to-earth diva has nothing to be ashamed of. Her selections, which she announced from the stage, drew from all eras of the American songbook. A three-piece band provided understated, lovely backup. There wasn’t a miss to be found in the programming or her performances, and she dotted her songs with zings of character but never approached campiness. In song and spoken word, she was a splendid storyteller. During “The Glamorous Life,” the split-second flashes of discomfort across McDonald’s face telegraphed the character’s uncertainty. In Kate Miller-Heidke’s “The Facebook Song,” which rails against receiving an abusive ex’s friend request, McDonald spat out the word “Facebook” like an expletive; the f-word that followed was given a gorgeous melismatic treatment. Coming out of Zina Goldrich and Marcy Heisler’s hilarious tune “Baltimore,” she went for the jugular with the tender wail that announces the beginning of Gershwin’s “Summertime.” Brian Hertz’s loose, steamy piano accompanied her lucent voice, and it seemed the audience held its breath. “I Could Have Danced All Night,” was a lovefest between her and the public; she invited everyone to sing along during the second verse, encouraging everyone towards the climactic high note — but not to be outdone, she pulled a high C out of her throat like a magician revealing an infinity of handkerchiefs. She sent us into the night with three moving classics: “Make Someone Happy” from “Do-Re-Mi,” “Climb Ev’ry Mountain,” and as an encore, “Somewhere Over the Rainbow.” Again, McDonald brought the crowd in to sing the last line with her. Presented by Celebrity Series of Boston. At Symphony Hall, Friday.